Bubbly Paws in Maple Grove is open! 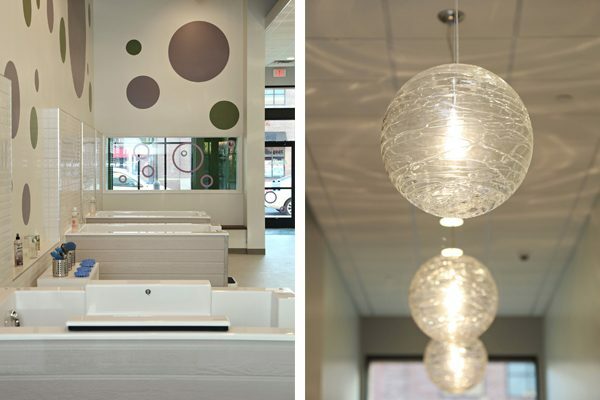 – U+B architecture & design, inc.
Home » News » Bubbly Paws in Maple Grove is open! Bubbly Paws Maple Grove has opened just before the holiday rush. 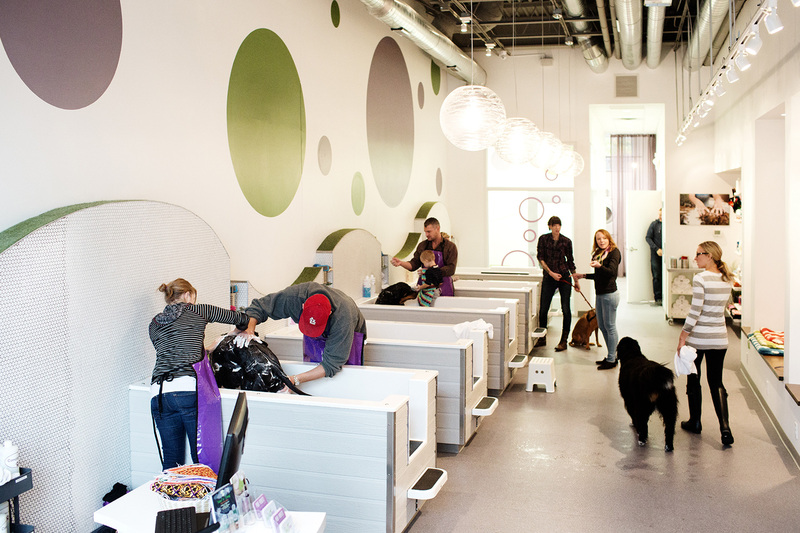 It is the 3rd retail location for our client’s innovative dog spa concept serving local residents and their dogs. An alternative to more costly baths offered by grooming services, Bubbly Paws Maple Grove features 4 self-serve tubs with top notch pet-friendly products provided for you and the mess is kept out of your house. If you’d prefer to leave it to the professionals, Bubbly Paws also offers full service dog washing and grooming services by appointment, with 2 dedicated grooming rooms and kennel service for grooming appointments at all of their locations. U+B has designed all of the Bubbly Paws retail concepts across the metro with a consistent branding image embraced and re-formulated for each unique location.